Holly’s love of horses began at an early age; riding the back of the sofa in the living room and “galloping” her stationary hobbyhorse across the wooden floors at home. At age 8, a family move to Illinois meant that saddle seat lessons could begin at an American Saddlebred barn in the neighborhood. Watching the fine harness horses being worked on the way to school, barn shows and horsemanship camp filled happy days. With a move back to Massachusetts, Holly quickly discovered the joys of galloping and jumping (no one rode saddle seat in hunt country!) at a barn that used freshly retired OTTBs as lesson horses. Holly’s first horse of her own was a saintly TB that she rode all over town. She participated in 4-H, making friends across many disciplines. As an adult, Holly developed an interest in dressage, and a deep appreciation of the possibility of making any horse a better athlete. 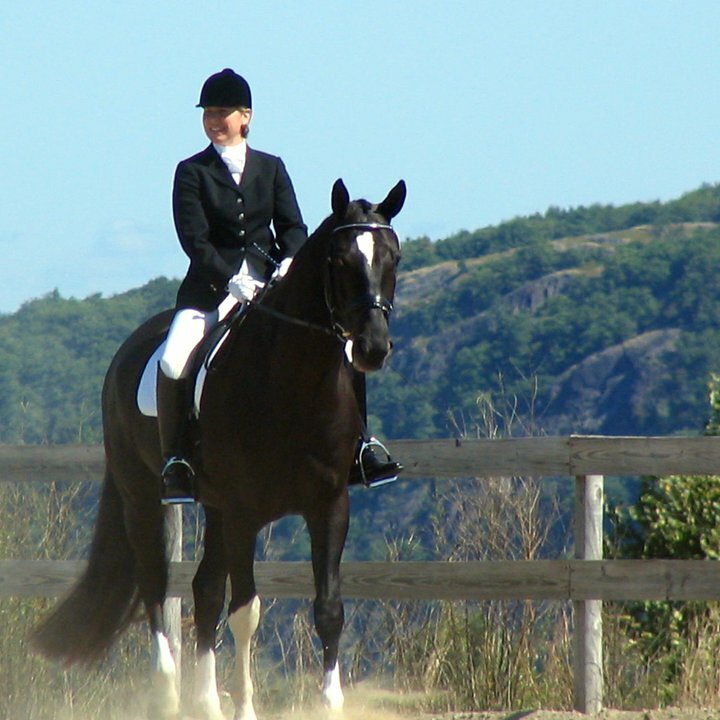 While living in Germany, Holly was able to continue to study dressage while riding and working closely with the owners of Reitstall Klages, a Hanoverian training and breeding farm. She rode with clinicians such as Hendrik Gaebel, an accredited German Reitmaster. Once back in Maine, Holly began working for Tosha Zubrisky at Bald Mountain Farm in Camden where she boarded her horse, managing the barn while Tosha was in Florida for the winter. While Holly believes that all horsemen should continue to learn and should continue to work to become better riders, she feels that the most important part of being around horses is to have fun and to enjoy just how much they enrich our lives. 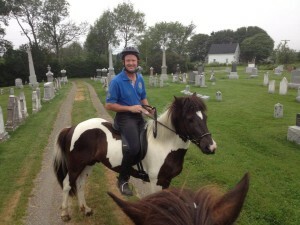 I purchased 28 acres of property in South Thomaston, ME in June 2012 (the former site of a pre-cast concrete plant), with a vision for a comprehensive equestrian center. My wife, Mary Jo, was traveling 1+ hour each way to ride her horse nearly everyday, and we could not get a spot in a stable nearby…so I decided to open my own stable. To the left is a picture of me on my Icelandic Horse Pilatus, whom I purchased after a wonderful horseback riding trip to Iceland in the Spring of 2013. Mary Jo and I have taken many vacations over the years to ride horses (France, Ecuador & Italy) and I have taken a few lessons, here and there, but I really enjoy riding and look forward to improving my form and getting more time in the saddle. I hope to see you at the farm! And our 5 STAR our support team -Asst. Barn Managers Ashley & Heather and a great group of working students. 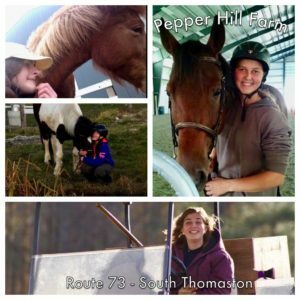 All are horse lovers who assist us in providing excellent care to the horses and riders who call Pepper Hill Farm home.